My annual leave is usually spent on adventures abroad, but sometimes it’s important to take time off work just to relax! I’ve spent the last couple of days doing exactly that with two of my best friends. 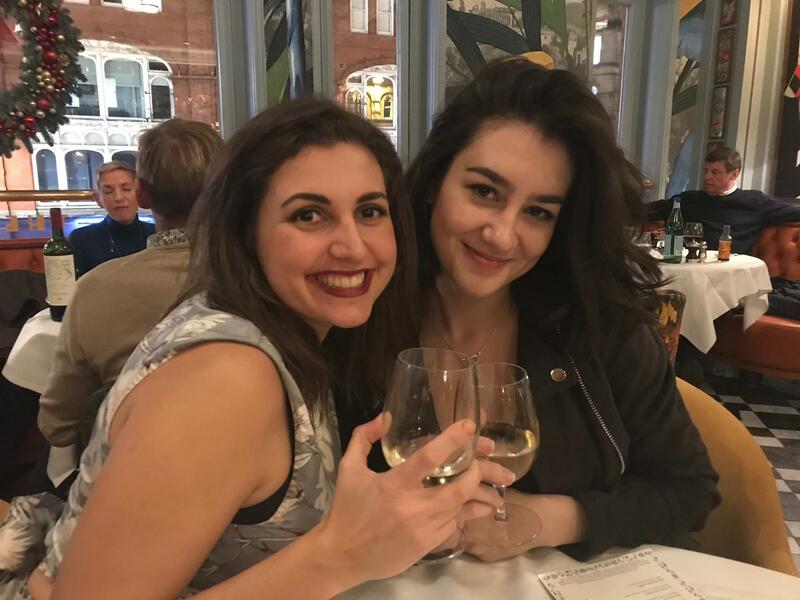 So, how do three girls who haven’t seen each other in a while and just want to have a good old natter spend 36 hours in the wonderful city of Leeds? Here’s what we got up to – feel free to steal ideas for the next time you’re at a loose end! 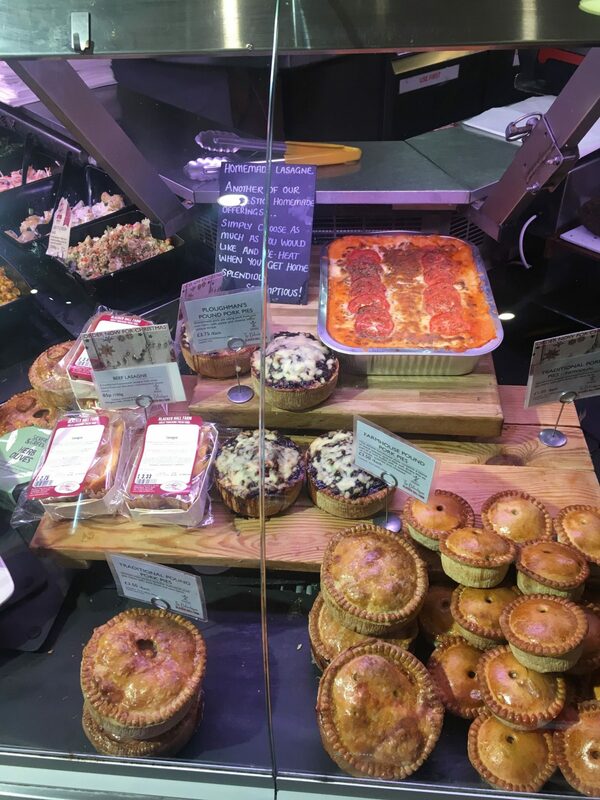 If you’ve never been to Blacker Hall Farm Shop you need to! Having met here for an amazing lunch the last time we saw each other, we decided to check out the breakfast. However, due to us all having a much needed lie-in, we arrived at 11.34am, 4 minutes too late for breakfast. With my heart set on Eggs Benedict, I was gutted! Luckily, being the genius that I am, I found a way around this conundrum and ordered an all-day breakfast sandwich of bacon and egg with hollandaise sauce on the side. Voila! Eggs Benedict! Sort of. Delicious none the less! The food at Blacker Hall is really, really good. 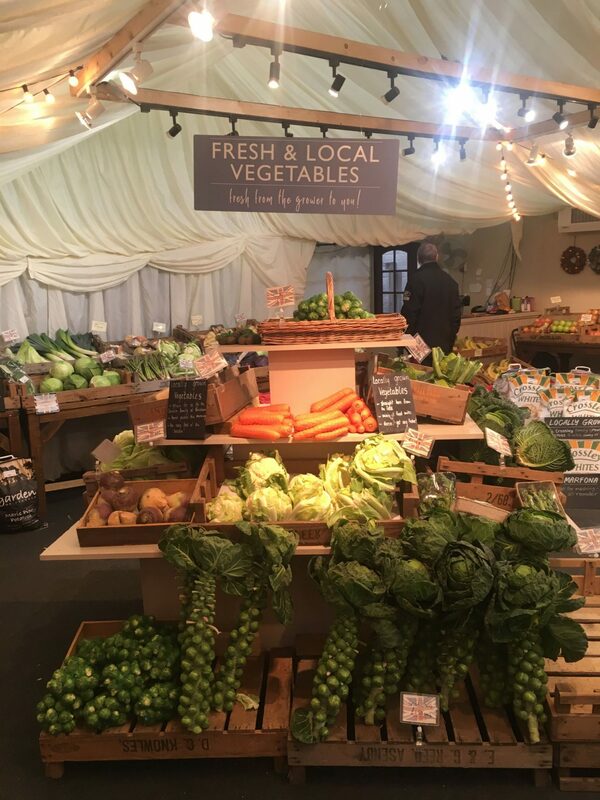 They use seasonal produce from their own farm or other local, family run farms which means that you can rest assured you’re enjoying great quality and ethical ingredients. The breakfast sandwich I had was HUGE and the bacon was incredibly thick and crispy. After breakfast, our next activity was to browse the farm shop. If you love food and love to shop local this is the place for you. 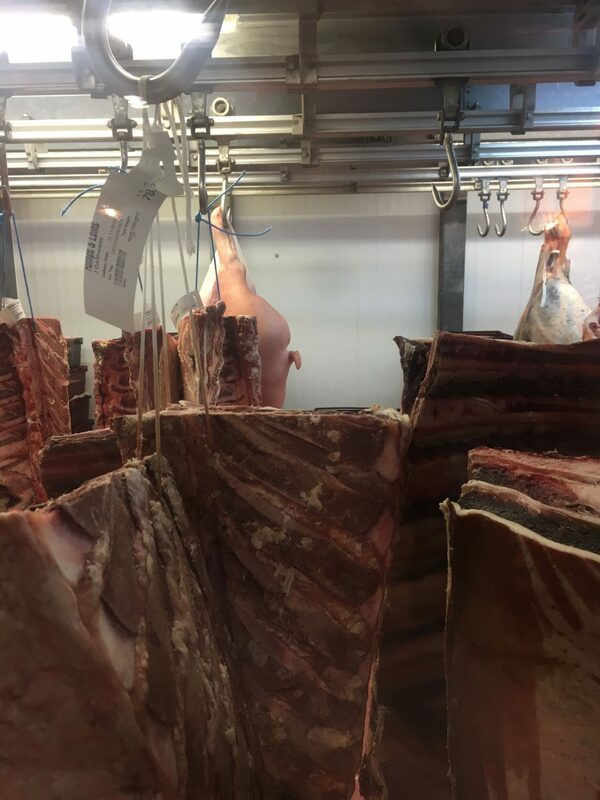 With a mouthwatering butchers’ counter, an impressive fish counter, a deli counter and endless artisan food brands (the kind of things you find at food festivals and then never find again! ), I could have spent hours and hundreds of pounds in here. 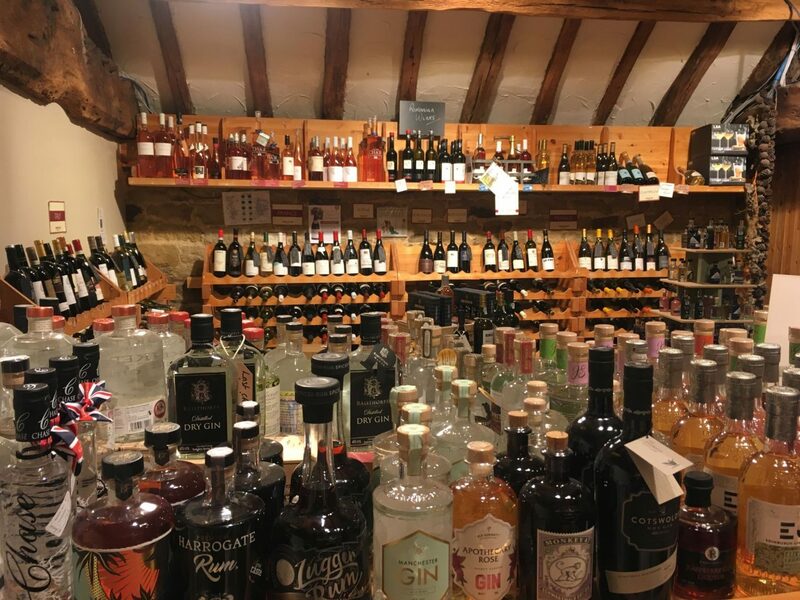 There is also a fabulous selection of Yorkshire gin and other boozy treats, usually with a few tasters up for grabs. After plenty of browsing and a little bit of shopping, it was time for the next part of our adventure: Tropical World! We had originally discussed a day out at Yorkshire Wildlife Park, but as the weather was completely appalling we needed an indoor activity. For just £6 (ish), we found ourselves wandering amongst butterflies and birds in an indoor jungle. There is plenty to see with an aquarium where you can see the likes of piranhas, sting rays and seahorses. 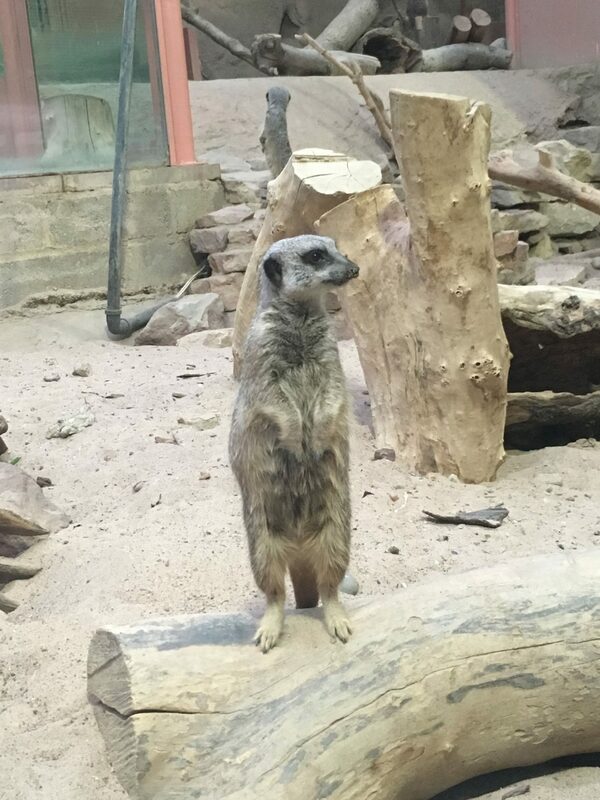 They have snakes, spiders, lizards, bats, monkeys and, best of all, meerkats! A great place to take kids, but just as much fun for three adult women! After Tropical World, we headed back to mine for a well-deserved cup of tea and a biscuit (and a teeny tiny nap in some cases) until it was acceptable to start drinking the proper stuff and getting ready for an evening out. With our favourite Sean (da) Paul on in the background, we applied our fake eyelashes, put on our heels and had a dance and a giggle. Then it was off to The Ivy for dinner. It’s reputation for ‘the place to be seen’ had put me off a little, but the food did look really great. And great it was! 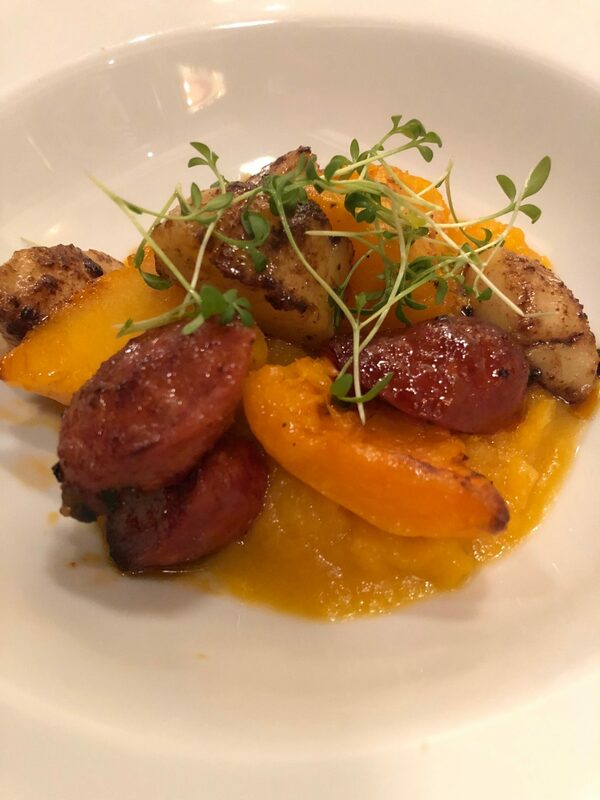 All three of us had scallops with chorizo and butternut squash to start and pretty much ate in silence, it was that good! The scallops were cooked beautifully and the flavours worked together perfectly… so much so that I’m recreating it at home tonight. 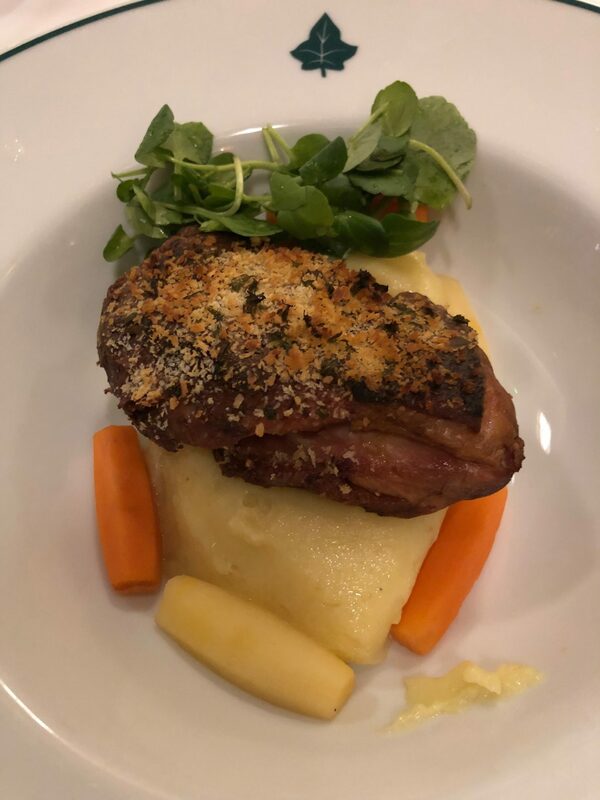 Main course for me was slow cooked shoulder of lamb, again really tasty, although not as mind-blowing as the starter. For dessert the girls both had the chocolate bomb (very Insta friendly) but I went for the coffee cake and was very pleased with my choice. 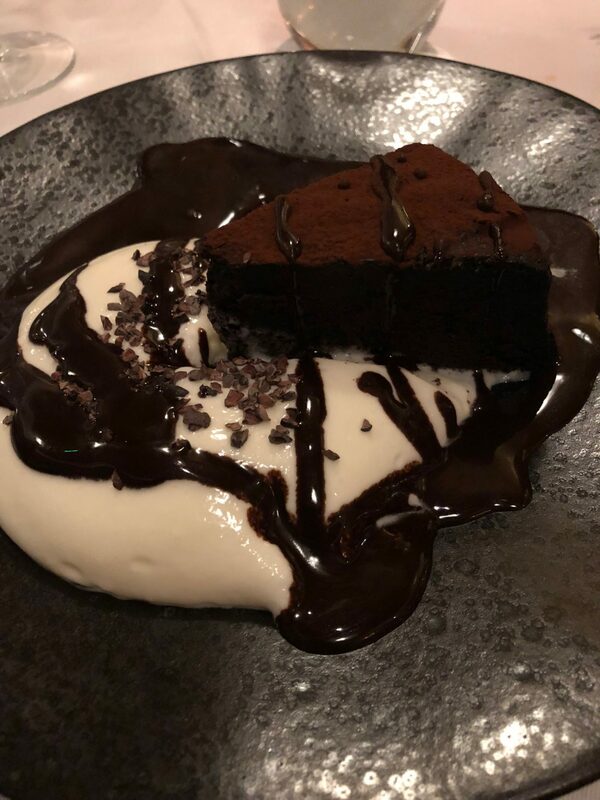 This gorgeous chocolate cake with a coffee dusting and coffee sauce provided just the right balance of sweetness and bitterness… delicious! The only negative of our meal was that we were so bloody full! This meant that our original plan of going ‘out out’ after dinner went out the window and instead we managed one drink before moaning that we were too bloated for dancing and (slowly) walking back to mine. Instead of partying, we spent the rest of the evening having a good catch up in our pjs on my sofa… which actually was way better! Despite having an early (ish) night and not actually drinking an awful lot, somehow we still woke up with sore heads. 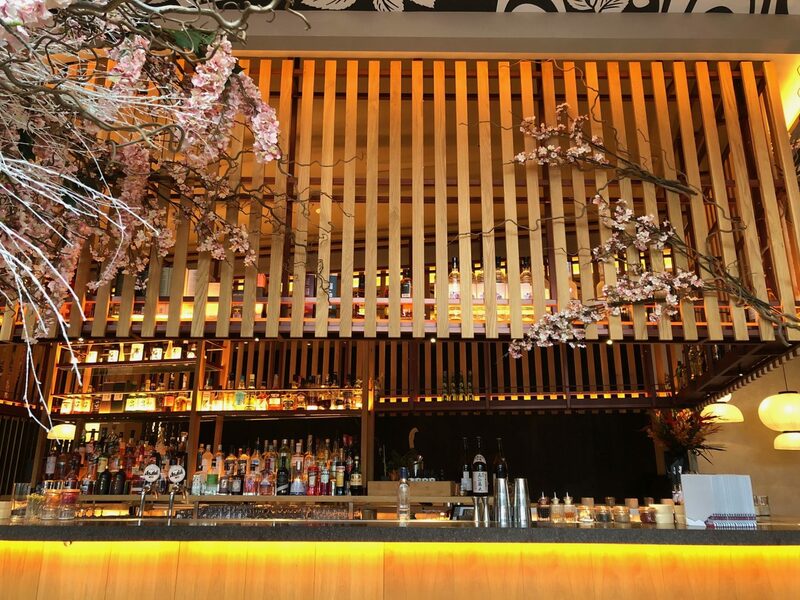 After getting our fix of Jeremy Kyle, we headed to Issho for brunch… I’m so glad my friends share my hangover craving for sushi! We were a little too eager and arrived half an hour before the kitchen opened, so sat in the bar with a glass of prosecco and waited patiently. 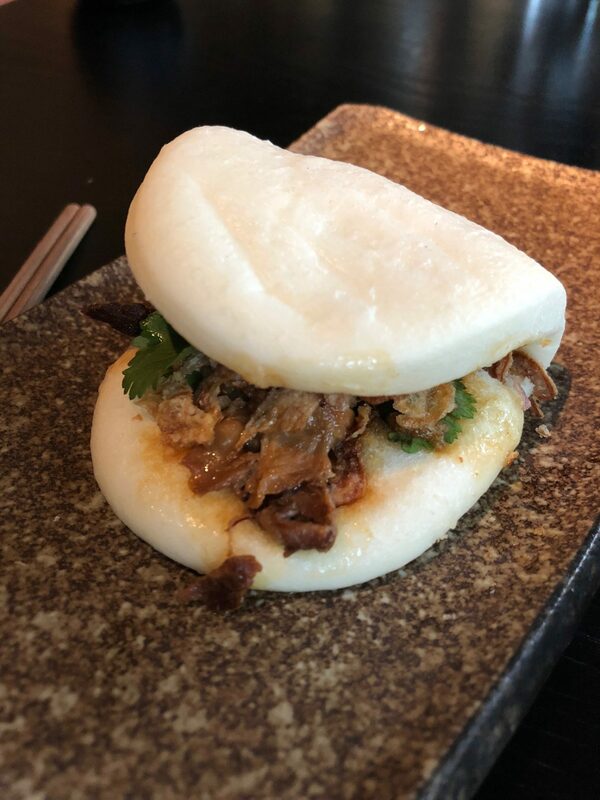 But when we were finally allowed into the restaurant, an order of spider rolls, miso braised lamb shoulder bao buns and tuna sashimi hit the spot and my hangover was cured. 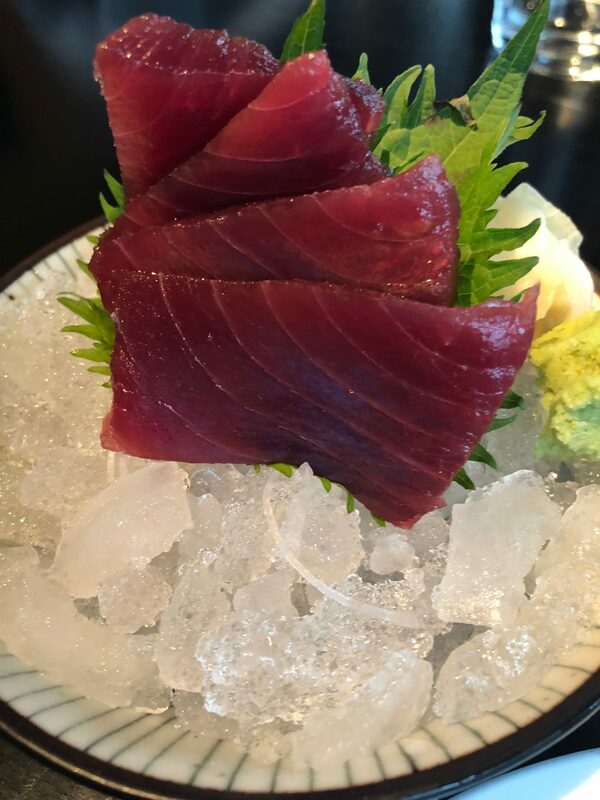 Watch this space for a full Issho review very soon! Being Black Friday, it would have been rude not to browse the shops! As one of the girls no longer lives in Leeds, she needed introducing to John Lewis and Victoria Gate. Bargains were had with 17% off in John Lewis, 10% off in Liz Earle and some great finds in Home Sense. I even won a £50 Mulberry voucher in a branded vending machine in the Victoria Quarter! As our 36 hours came to an end, we had a quick coffee in Mrs Atha’s before saying our final goodbyes and arranging our next meet up in January. Feeling very relaxed from plenty of laughs and great company, the best bit is that I still have a full weekend ahead of me! Using annual leave to enjoy being at home with friends is definitely something that I will be doing more of… but don’t worry there will be plenty of adventures to blog about too!